Highly tuned (600+ HP). Owner gave the car to a mechanic who was repairing the 4 wheel drive system. 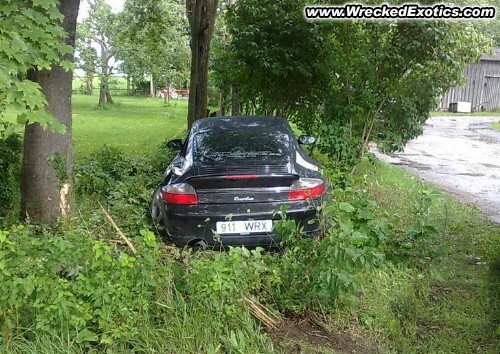 Tried to deliver the car in the rain and crashed it into a tree.